The 53rd installment of the illustrious Novak Djokovic vs. Rafael Nadal rivalry was supposed to be another memorable, epic, instant classic. Producing a master-class performance in a second consecutive match, the top-seeded Serb thrashed Nadal 6-3, 6-2, 6-3 in only two hours and four minutes to win a record seventh Australian Open title on Sunday night. Two days after committing just five unforced errors throughout a 6-0, 6-2, 6-2 semifinal destruction of Lucas Pouille, Djokovic made a mere nine errors in the final. The world No.1 jumped all over Nadal right away, breaking serve in the second game and holding his first four service games at love. He dropped a grand total of one service point in the entire first set. Things never got much better for Nadal, who recorded 28 unforced errors also also struck far fewer winners than his seemingly unbeatable opponent (21 to 34). The second-ranked Spaniard, who was bidding for his second Aussie Open title 10 years after his first, earned just one break-point chance and failed to convert it at 3-2 in the third set. “It ranks right at the top,” Djokovic said when asked where this ranks in his major final performances–15 of which have resulted in victories. “Under the circumstances, playing against Nadal, such an important match, yeah–it’s amazing. Obviously back-to-back semifinals and finals, I think I made 15 (really 14) unforced errors in total in two matches; it’s quite pleasantly surprising to myself, as well, even though I always believe I can play this way (and) visualize myself playing this way. At this level, as I said, under the circumstances, it was truly a perfect match. “I think, of course, he played I think fantastic,” Nadal said of the 15-time Grand Slam champion. “At the same time is true that when he’s playing that way, I think I needed something else. I was not able to have that extra thing tonight, being honest, no. Yeah, was unbelievable the way that he played, no doubt about that. He was, in short, unbeatable. The real thing, too, is that Nadal was not at his best. 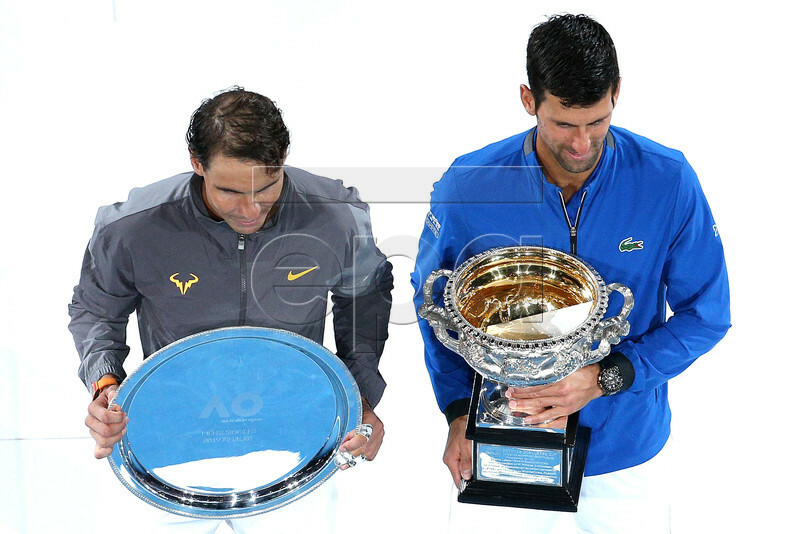 But not even Nadal’s best–not anyone’s best–could have competed with Djokovic on this night. He was simply too good.